To get around gas pump skimmers, I buy gas cards at the grocery store so I never use my credit card to buy gas. Our local Publix stores often offer coupons for $10.00 off $50.00 gas cards when you buy $50.00 worth of groceries. Since I'm now retired and don't drive as much, this works well for me. Even if I still used more gas, I think I'd buy the gas cards to avoid skimmers at the pump. I try to be alert and aware, but at the same time, whether I am shopping in a grocery store (like last year when my credit card info was stolen that way), online, or at the gas pump, there's a chance that my information will be taken. For that reason, I generally don't use a debit card, because in my experience, with my credit card company, getting the illicit transactions reversed was pretty easy and I received new cards pretty quick. It could have been a much bigger mess if I was using an account directly tied to my checking/saving accounts. I hope it doesn't happen, but if it does, it will be an inconvenience. Still, I do like hearing about the latest ways skimmers are being installed. It's definitely good to keep up with it. 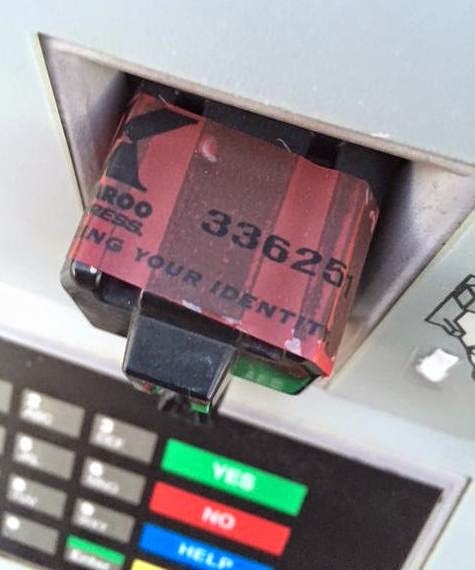 I'm surprised no one mentioned the simplest safeguard to prevent use of your credit card from point of sale terminals (such as on a gas pump) or an ATM card. The skimmers pull your card number. They don't get your PIN or code number needed to authorize the card. They'll either have someone watching the terminal or hide a small camera where it can see the keypad. If you just shield the keypad when you put in the code, even if they have your card number, its basically worthless. Just put your other hand over the keypad so only you can see what you are punching in. But like 90+% of people never shield the keypad when they punch in their code. Make it a habit to shield the keypad, and you'll be much safer against skimmers. Thermo-cameras defeat this, as the keys you touched will glow and often with different intensity to predict the correct order. 4 digit PINS are pathetic for protecting your money and knowing what keys were involved, even more so. In that case, what I should do after entering my 4-digit PIN is to rest my fingers on two other keys for a short time. my gas pump asks for my zipcode. that makes me wonder how canadians buys gas at those pumps?